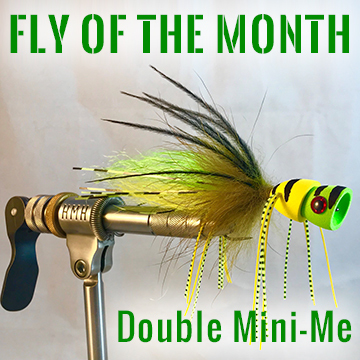 In September of last year J.Stockard Fly Fishing posted my Bluegill Belly Bean as their Fly of the Month. 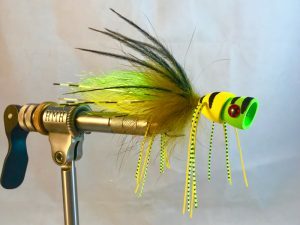 This was the first time I had released the details about the fly. 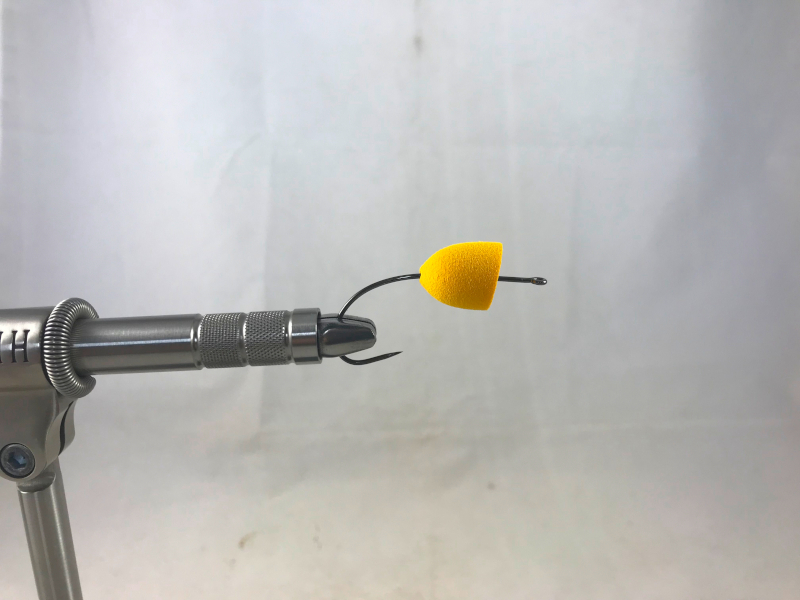 Please refer back to that post to find out even more details about the Bluegill Belly Bean. 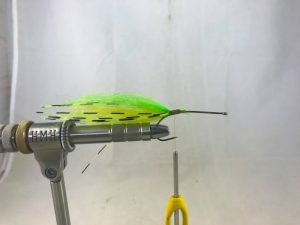 In the following video, Tim Flagler of Tightline Productions, shows how to tie my creation and also includes some nice tips while tying. If you haven’t been watching Tim’s videos, you should really treat yourself and start. Tim has been making professional quality tying videos for many years. Check out his YouTube channel for many different types of flies. Hook: 60-degree heavy jig hook (here, a Daiichi 4640), size 6. 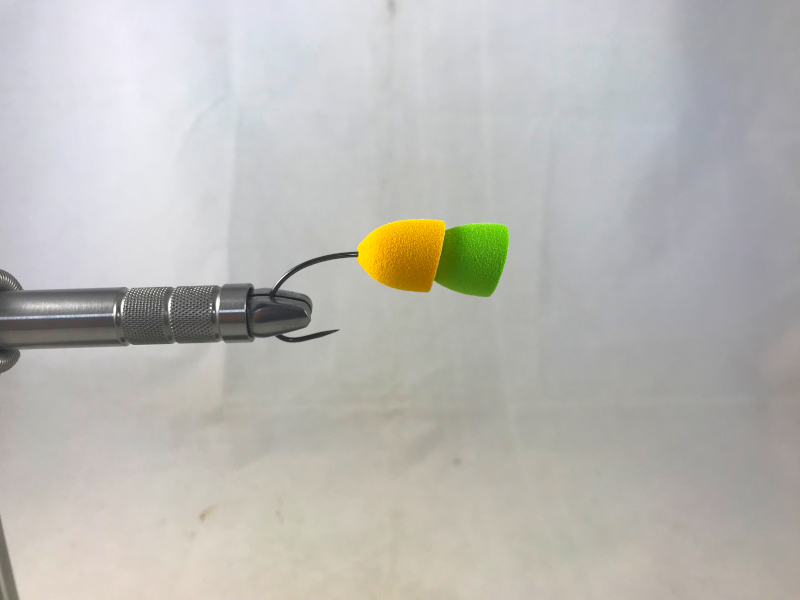 Thread: Light-olive, 8/0 or 70-denier. 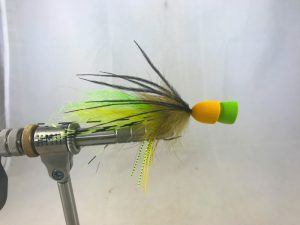 Eyes: Double Pupil Lead Eyes, x-small. 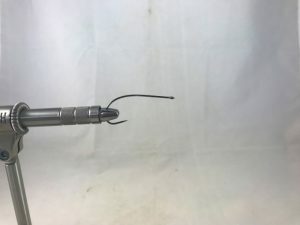 Tails #1: Root beer Krystal Flash. 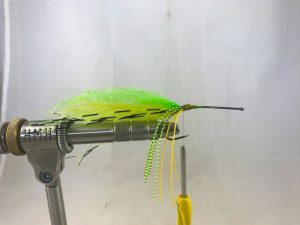 Tail #2: Olive barred clear Chicone’s Micro Crusher Legs. 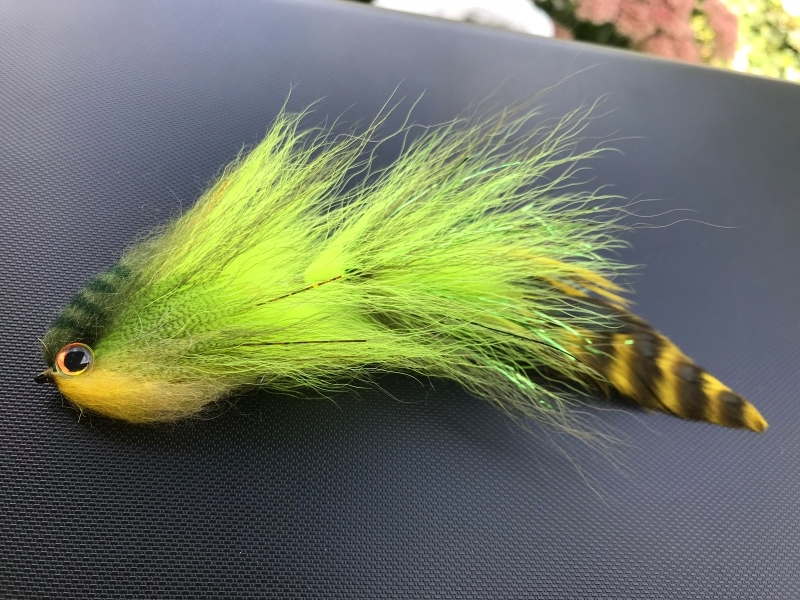 Body: Opal olive Estaz, petite. 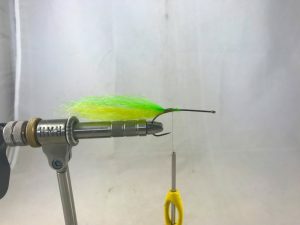 Legs: Chicone’s Barred Micro Crusher Legs. 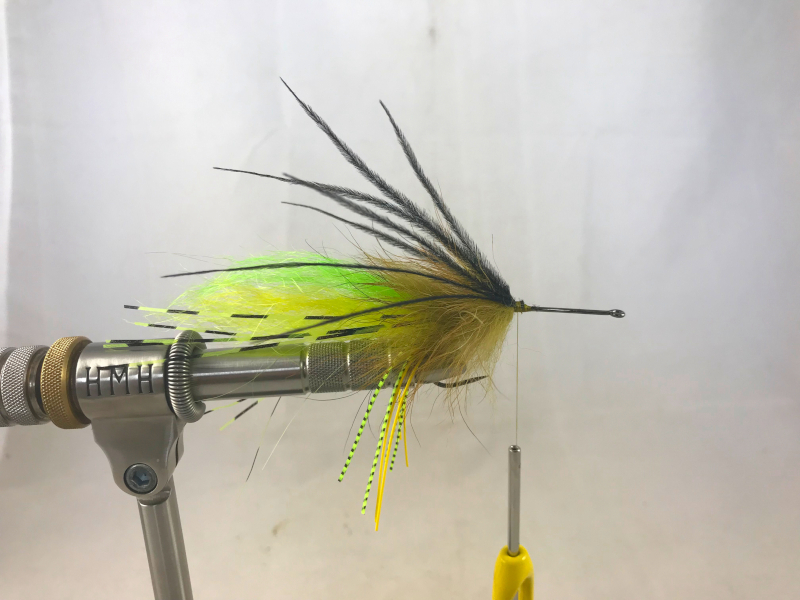 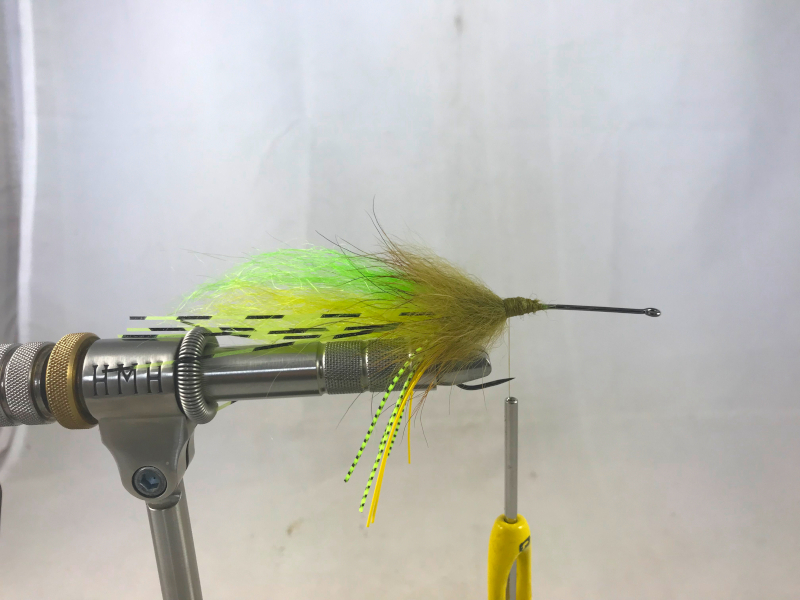 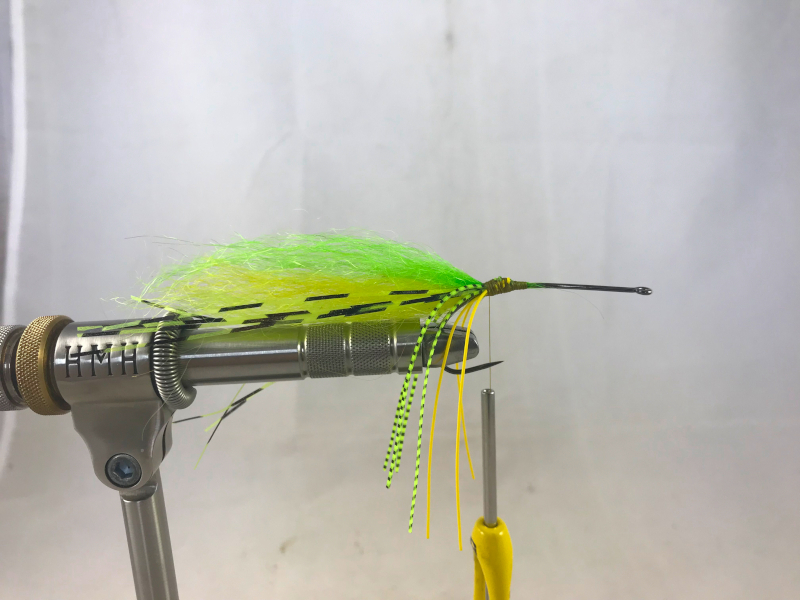 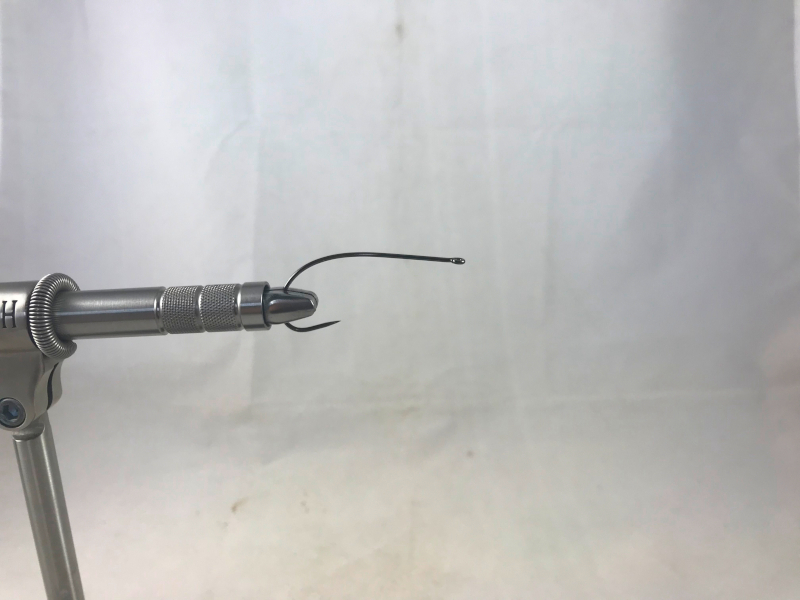 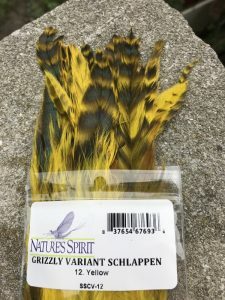 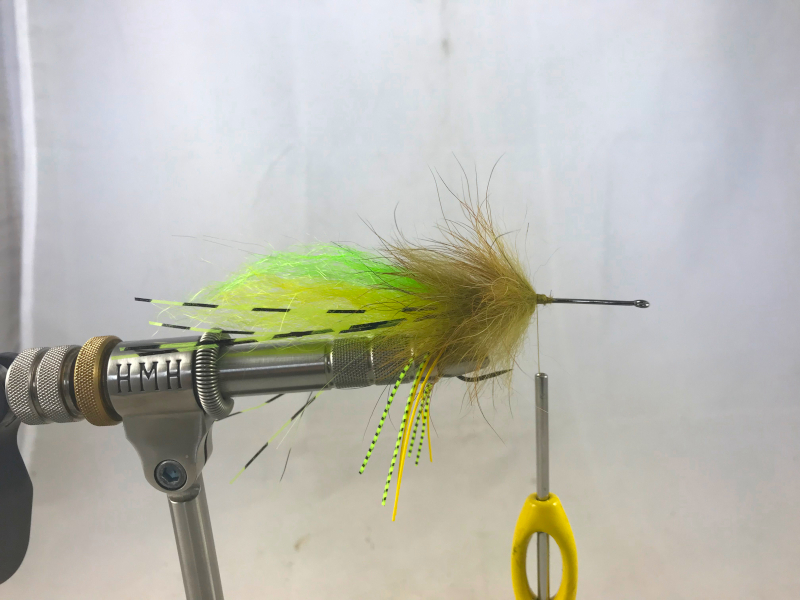 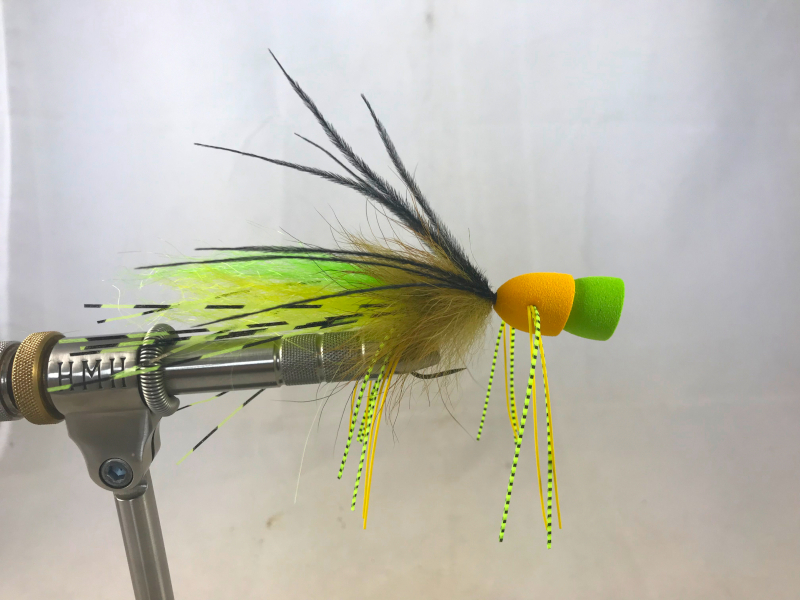 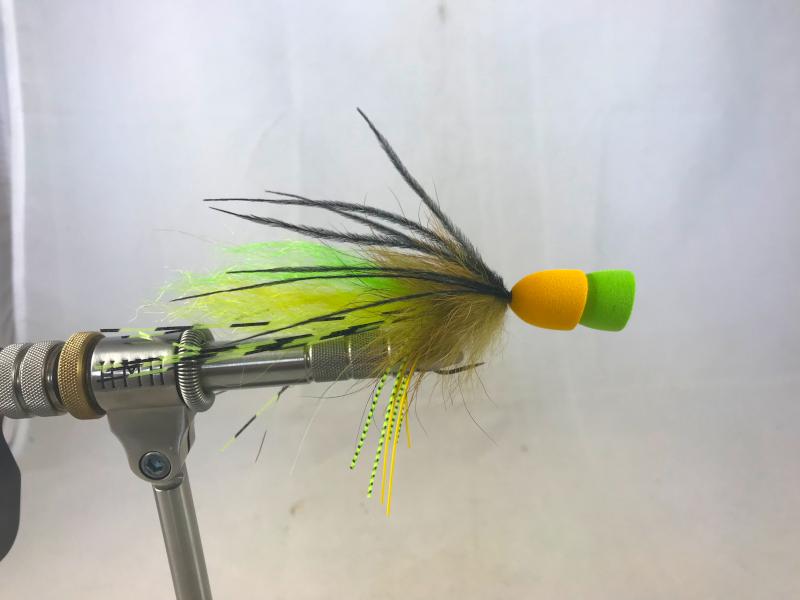 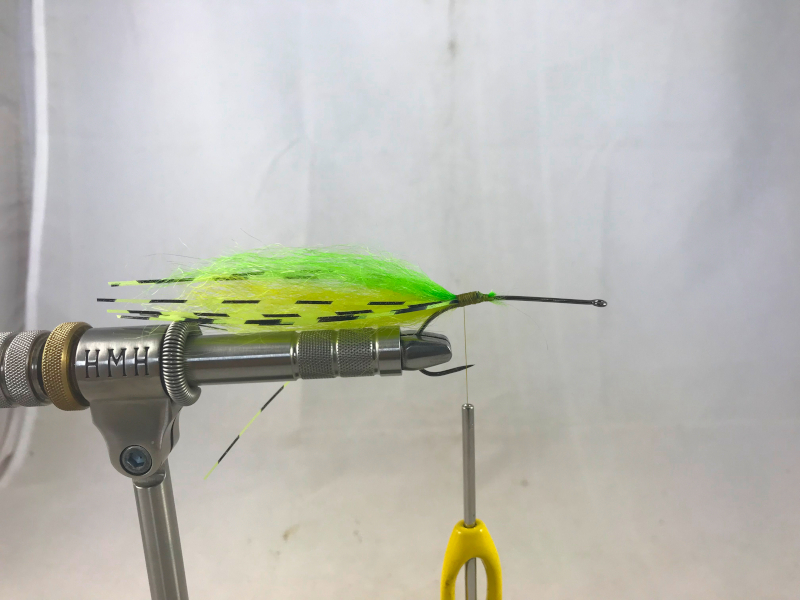 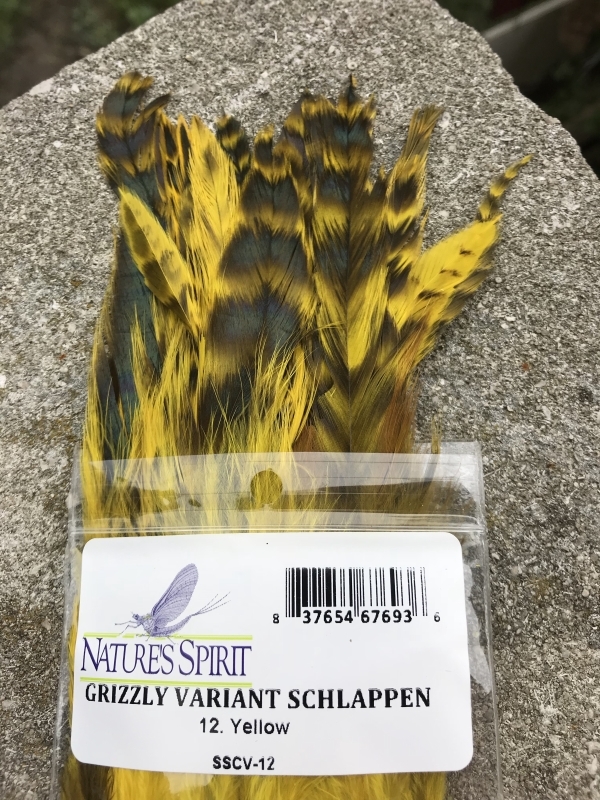 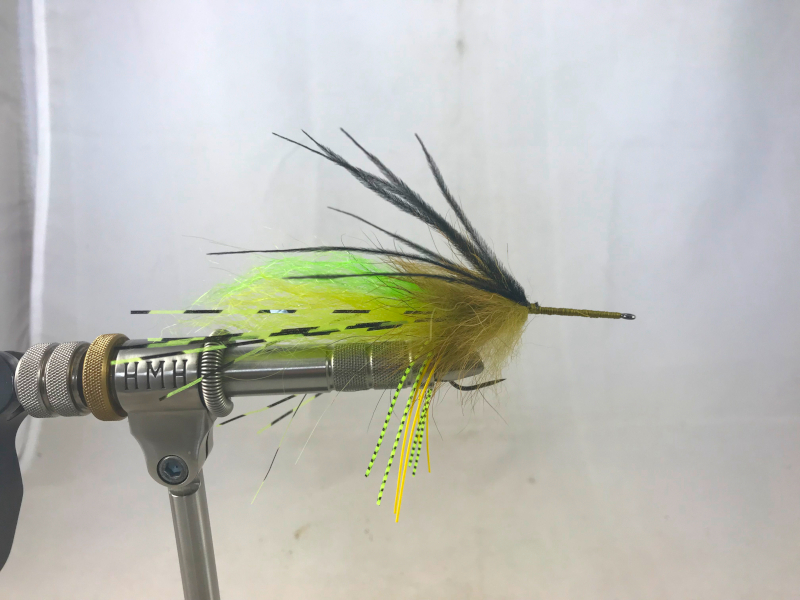 This entry was posted in Fly Tying Materials & Supplies, Our Regular Contributors, Paul Beel, Frankenfly and tagged fly fishing, fly tying, fly tying instructions, fly tying materials, fly tying recipe on September 13, 2018 by Paul J. Beel.